Are you thinking about adopting a hamster or do you want to learn more about the adorable breed that you already have? You’ve come to the right place! 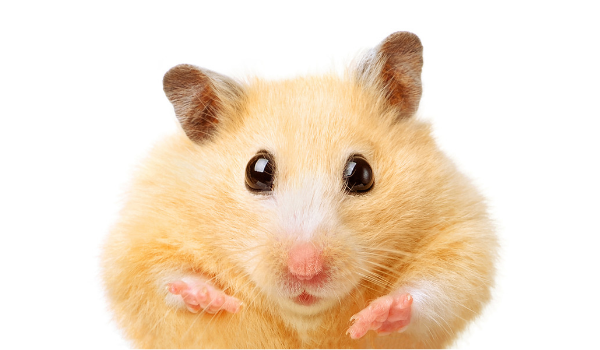 In honor of World Hamster Day (April 12), we decided to celebrate by sharing fun hammy facts! Why is April 12 World Hamster Day? Israel Aharoni, a biologist who worked in Jerusalem, went in search of the Syrian hamster and on April 12, 1930, found a mother and her pups who became the first domesticated hamsters. Did you know that hamsters live for about 2 years on average? Hamsters are also master escape artists. Trust us, these sweet little pets would have made Harry Houdini green with envy! Hamsters are nocturnal and shouldn’t be bothered when sleeping. Hamsters are adventurous and curious by nature! Hamsters LOVE grass hays for nesting. Avoid feeding your pet mixes with nuts and seeds, as they tend to be selective eaters. 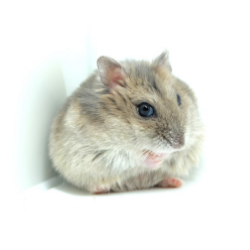 Syrians are what many typically think of when they see or hear the word “hamster.” Measuring at about 5-7” long and originally hailing from the Middle East, these adorable pets are the largest breed of their species. Syrians should be housed alone due to their highly territorial natures. They are also nocturnal and will, therefore, spend the majority of the daytime sleeping. Have you ever noticed how much Teddy Bear hamsters look like Syrian hamsters? That’s because there really isn’t a difference! What is commonly referred to as “Teddy Bear” hamsters tend to look a little bit fluffier as a result of longer and denser fur patterns. 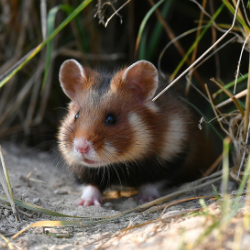 Less commonly known in the Americas, the European hamster boasts a little black belly instead of a white one like many of its wild or domestic cousins. While the majority of these animals remain wild and aren’t very often seen as pets, these adorable hams were first documented in 1679 and have a long and rich history in central and eastern Europe as well as Russia. 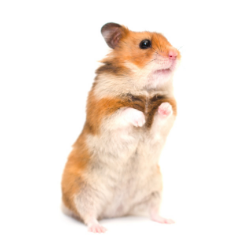 If you’re looking for the smallest, fastest hamsters known to humankind, look no further than the Roborovski hamster! These long-named, little-bodied Robos may not tend to be as affectionate as the Syrian breed, but they certainly are adorable. Usually measuring at 2” or less, their size paired with their speed make them difficult to handle, making them less than ideal for families with small children. 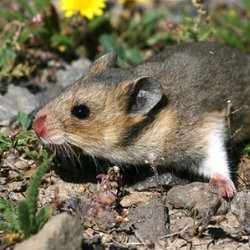 Originally from the deserts of China and Mongolia, the Chinese hamster differs in looks from many of its relatives due to its tail. While not as long as a gerbil or mouse tail, it does make this mid-size species easy to tell apart. A little larger than Roborovskis, Winter White Hamsters are also a very popular hammy breed. Known for being good-natured, they originated from Russia and are named due to the fact that they often turn almost completely white during the winter months. Winter Whites also go by many names, including Djungarian hamsters. 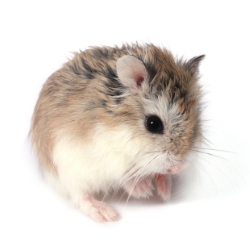 Similar to the Syrian but slightly smaller, Turkish hamsters are not often kept as pets due to their aggressiveness. They can be found in the wild throughout areas in Turkey, Lebanon, and Israel. 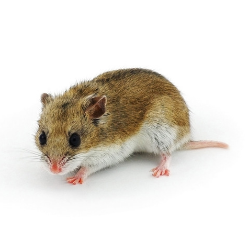 Due to their color pattern and snout shape, they are oftentimes mistaken for mice. Photo care of Hamsters Portal. When should I take my hamster to the vet? What are the specific housing requirements for my hamster?